Selling or buying a home is most likely one of the largest and most intricate transactions you will be involved with in your lifetime. Hiring a qualified real estate agent who can guide you through the process is absolutely essential. Qualified agents posses the experience and knowledge that is vital to the success of your transaction. An agent can advise you, guide you, provide all of the necessary paperwork and materials, as well as ensure that the process of buying or selling a home is completed lawfully, quickly and with ease. I have built my reputation upon surpassing client expectations. Having sold millions of dollars worth of Wichita Falls, and surrounding area, homes during my 20-plus year career, 90% of my business has consisted of repeat and referral clients. I credit my real estate success to my determination to build and maintain solid relationships with clients. My most notable traits are my caring demeanor and personable charm. My positive and enthusiastic energy allows even strangers to feel comfortable and trusted around me. 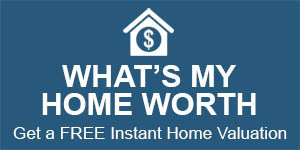 This instant camaraderie allows me to understand your home buying needs, resulting in an effortless buying experience. I have lived in Wichita Falls since I was two years old and have many strong ties in the community. I have three children, six grandchildren, and am engaged to the love of my life, John Schenk. I'm an animal lover, love to country and western dance, play 42, board games, card games, paint, garden, etc. My real passion is selling real estate.